Today is a special day indeed at Hotel V Frederiksplein: Today is our 5th anniversary! Five years of guests at Frederiksplein, five years of staff members (some still here, some not), five years of eVents, and five years of loving this part of the city. We are super grateful to all of the guests that have slept on our pillows and roamed our halls. Without you we wouldn’t have made it this far, so thank you! This month we are opening Hotel V Nesplein. Just weeks away now! …at the same time we will launch the restaurant that will be in the lobby of the new hotel, The Lobby. 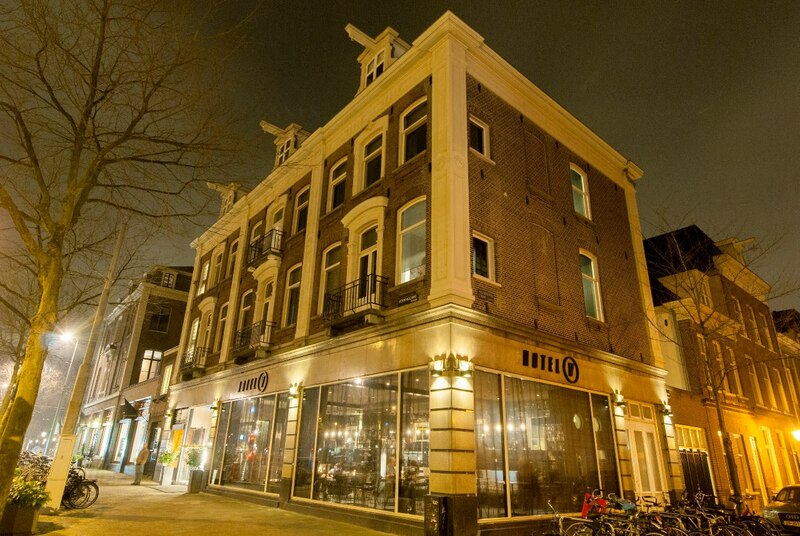 Next month Hotel V Frederiksplein will expand with the addition of 6 short-stay lofts next door. Today we will announce the winner of our Facebook contest- a one night stay in Hotel V Nesplein including breakfast at The Lobby! And to celebrate our anniversary, tonight the V Crew is having a party! We think that is a handful to be happy about, right?